It's mid-month December. That means it's time for the last Glam Bag of the year! 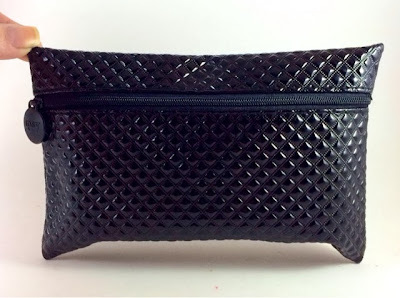 My Ipsy bag arrived yesterday in this cute quilted, front zipper bag. This months theme is celebration. 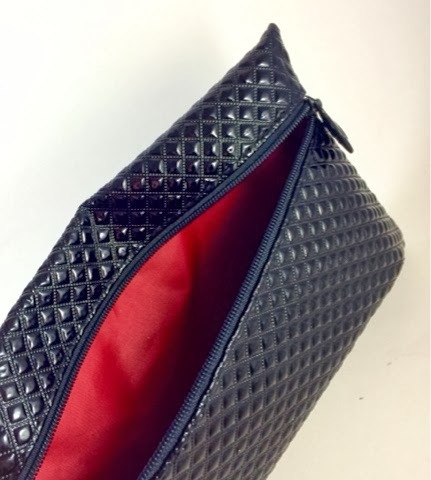 It may look sleek and sophisticated on the outside, but inside is a party with a pop of red fabric. Inside my bag this month I was quite pleased with all the goodies! I got a Beauty Blender with a mini Beauty Blender Cleanser, a Be A Bombshell The One Stick, Ardell Natural Lash False Eyelashes, a NYX Extra Creamy Round Lipstick, and a Nicka K New York Nail Nail Color. Any bag that has polish included is an instant win for me. This The One Stick is quite a versatile little product. The stick is rather large and is intended for multiple use. 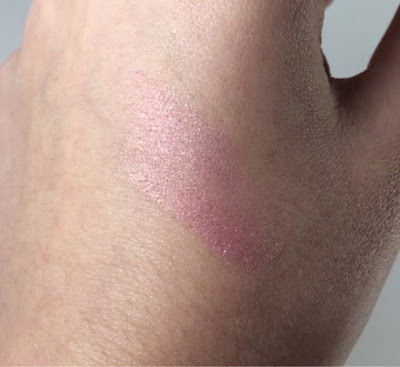 I tested it out as a blush but it can also be used on lips and eyes. Girl Crush is a shimmery light pink that goes very well with my fair skin tone. The shimmer in this product gives a dewy effect for a youthful shade. I can't see myself using it on my eyes but it is very nice to have a product that can be used for matching lips and cheeks. These come in seven shades and remind me a lot of Nars The Multiple sticks which have the same premise. 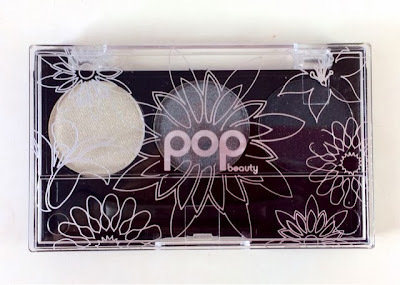 This Pop Beauty palette includes three full size pans from a ten pan palette. 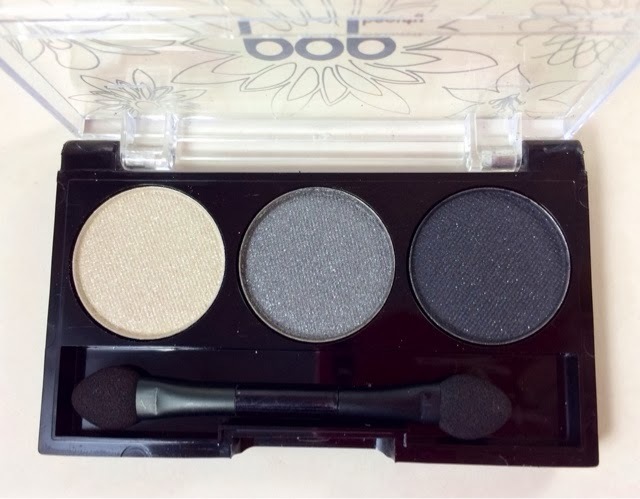 I love silvers and anything that will help me create a more defined smokey eye so I am very pleased with these colors. The colors in the palette are named white, grey and black (I hate when names are boring). 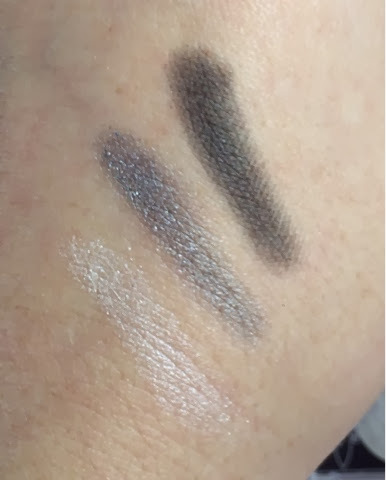 White and grey both include shimmer but the black appears matte. In the palette picture it appears slightly shimmery but there was some fallout in shipping, I promise it's very matte, see. 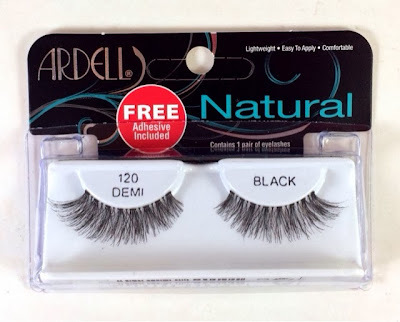 I enjoy using false lashes for special occasions or big parties so this set is a nice inclusion. Adhesive is included so I'll most likely hold onto these until I have an event coming up! I don't specifically have a favorite lash brand since I don't use them that frequently, but I look forward to trying them out more extensively. Upon first glance I was a bit intimidated by this shade. It is an orangey-gold full of shimmer. I could see this shade working on someone with a tan or deeper skin tone but on my fairness I don't see it working out. 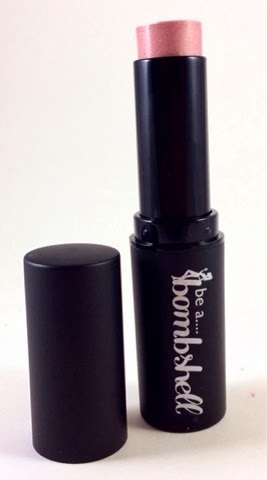 After applying I was very pleased with the moisture and creaminess of this lipstick. However, I still can't get past the shade. I'd have to be going for theatrical to pull it off! 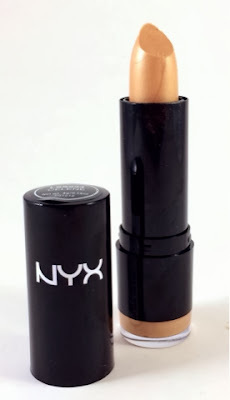 I'd love to try out other shades of NYX Extra Creamy Round Lipstick so I may take advantage of this months Ipster discounts for it. This Nicka K Nail Color applied beautifully. One coat gave me full coverage. I used two just for funsies. The handle is nice and long which was perfect for controlled application. The color dried a bit darker than shown in the bottle. The only issue I had with this polish was the brush. The ends were slightly frayed which made application a bit difficult when I was trying to get nice neat edges by the nail bed. Aside from that I am looking forward to trying more Nicka K Nail Polishes in the future. Overall this Ipsy bag was quite a score! I got a value of over $50 for this little $10 a month bag. Everything was full size except for the trio of Pop Beauty eye shadows. Signing up for your own monthly Ipsy bag is easy! Just head here and take the Ipsy Glam Bag style quiz. Ipsy will match you with five products each month and deliver them right to your door. Are you an Ipster? Were you please with your bag this month? 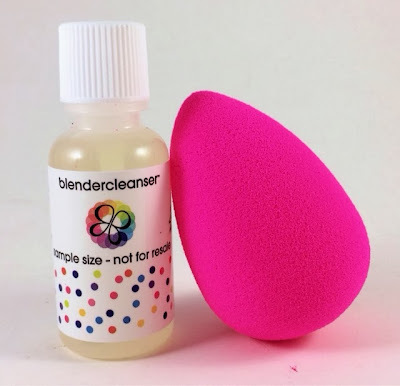 Is the beauty blender a full size product? Does it come into a container or specific package? The beauty blender is a full size sponge. It came in a plastic baggie with the Beauty Blender logo on it (if it came in the full packaging it wouldn't fit in the Ipsy packages). The cleanser is a travel size 3 oz. 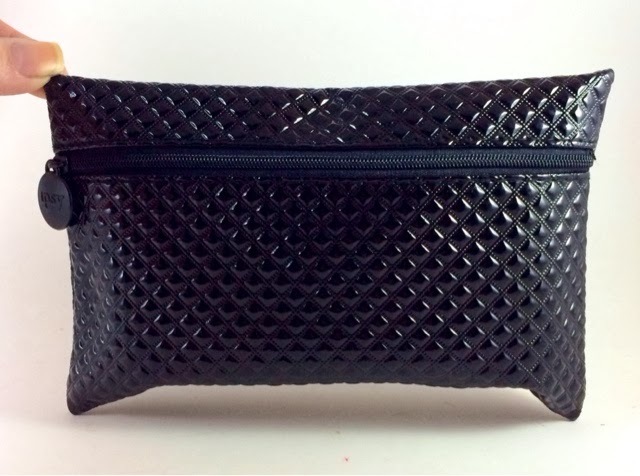 It is the same thing as the Beauty Blender Travel Kit found in the Beauty Blender online store. Ok! I got one from ipsy also.... Thanks!!! Genius! I've started doing this and it is the perfect holiday pop! Check out my latest Vine @DullLikeGlitter. I used your idea! I loved this months bag! I received the roll on perfume (which I wasn't to pleased about) but other then that, I have to say its one of the best bags! I got the red nail polish which I love. I am really thinking about signing up for this!